If you are blacklisted or have a bad credit rating, obtaining car finance can be difficult, but not impossible. Getting car finance can even help you to improve your bad credit rating? How? Blacklisted car finance, once approved, gives you the opportunity to prove yourself as a good and prompt payer. All of your vehicle repayments will be reported to the various credit bureaus (TransUnion and Experian) and while there may be a note that you are blacklisted or have bad credit, your prompt and full payments done consistently will go a long way towards reversing your bad credit. One of the major misconceptions when it comes to car finance is that blacklisted vehicle finance is impossible. In fact, it’s not! At Earn-a-Car we provide vehicle finance to blacklisted individuals on a regular basis. Of course we ensure that you can actually afford the instalments. In terms of interest, cars for blacklisted people often come with a slightly higher interest rate attached. For this reason it is absolutely essential that you ensure that you honestly meet the finance criteria and can afford the higher interest rate. How you manage your account will determine whether your credit score is improved or not. Keeping up to date with your monthly vehicle finance repayments and eventually paying the entire account off proves to future lenders that you are responsible and able to pay off your debts. As your credit rating improves, so will your future access to credit and you will eventually have access to better interest rates too. 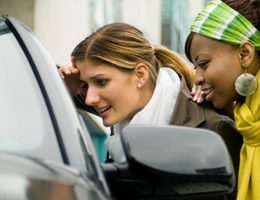 You must be able to make a minimum deposit of R16 500 and be able to afford a repayment of between R3500 and R5000 per month depending on the vehicle you choose. You must be able to provide us with your latest payslip and 3 months bank statements. For more information and advice on how our blacklisted car finance can help your credit rating and how you can earn cash on your new car, contact us at Earn-a-Car via email or telephone today.